has 3 excellent courses but if it is the beach you love, the ocean stretches for miles and is only an 5 minute walk away. with whirlpool, separate shower and New 32' LED TV; the Guest BR has 2 full beds, whirlpool, shower and TV/DVR/DVD. 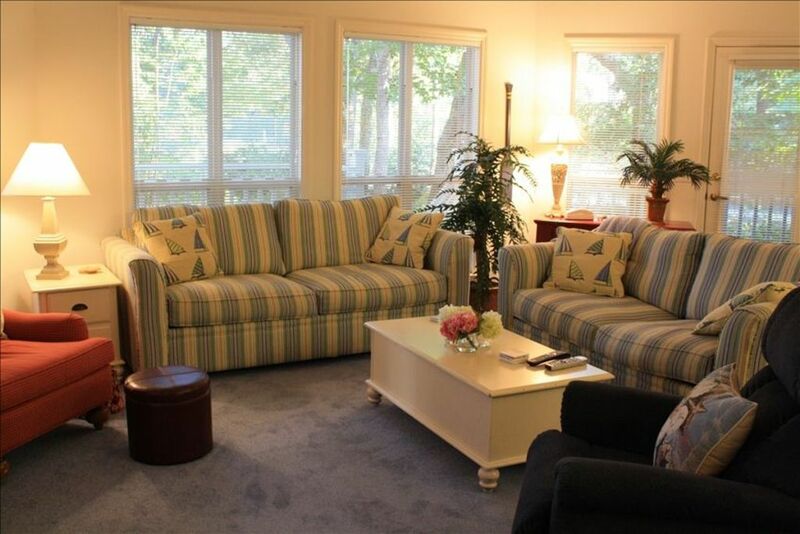 The large living area presents a wrap-around view and opens onto a screened-in porch overlooking the tennis courts. LR also has new furniture (2013) incl sofa, sofa-bed and side chair and 40' LED TV, VCR and Blu-ray DVD.